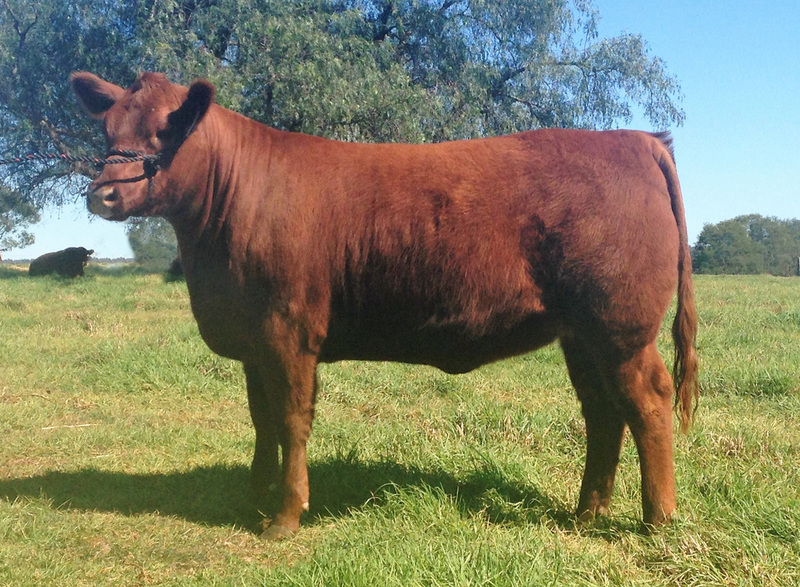 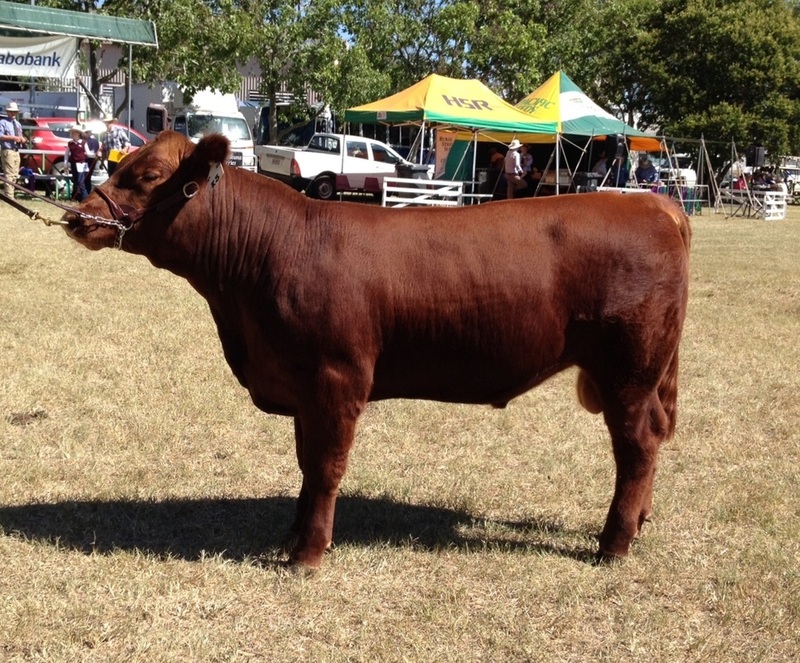 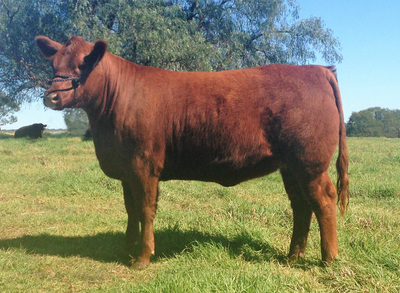 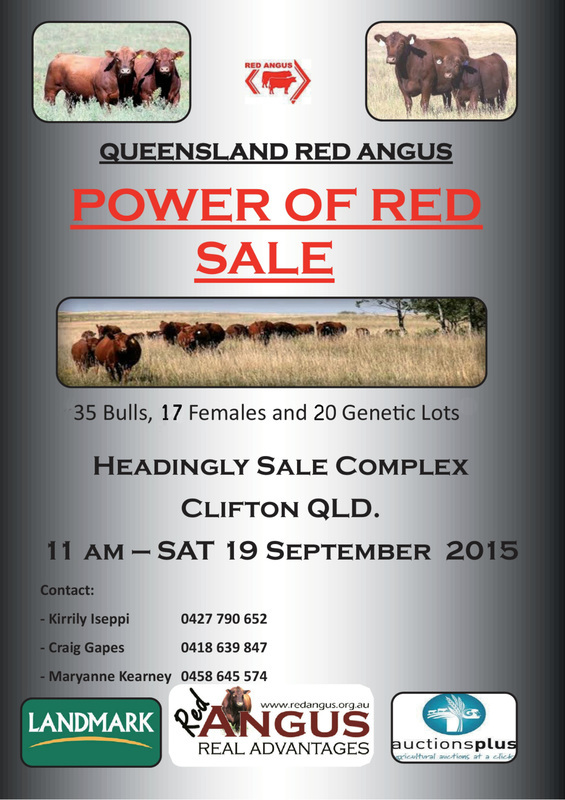 ﻿Breeding Red Angus and Red Brangus Cattle in the South Burnett. 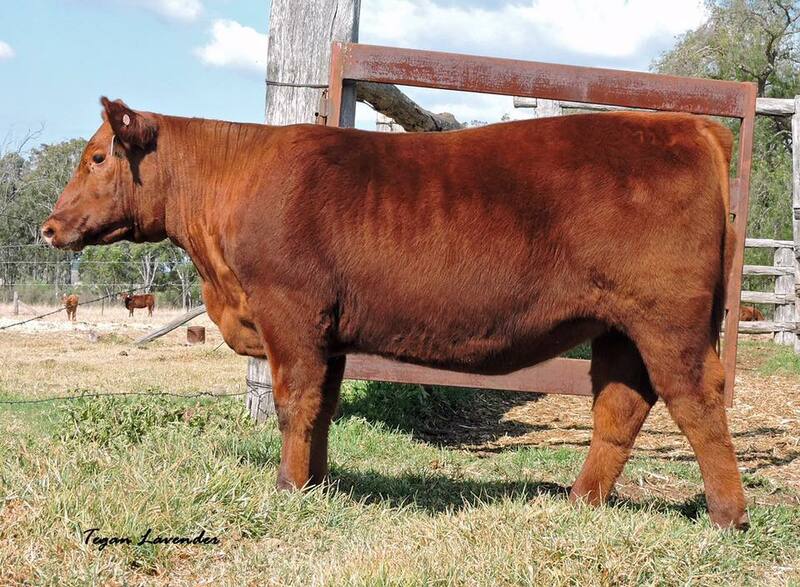 Click here to view the catalogue ONLINE! 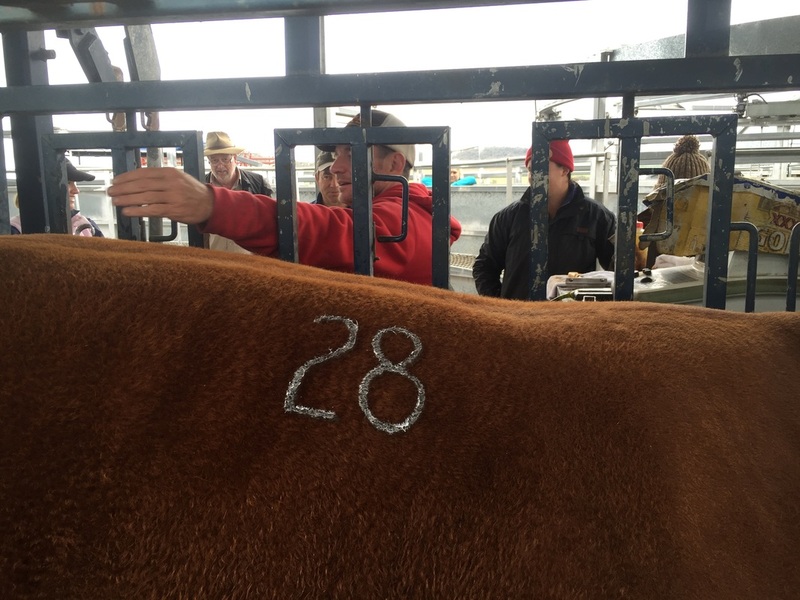 with elite livestock auctions. has produced Boonyouin’s top priced bulls at the first 2 Power of Red sales. 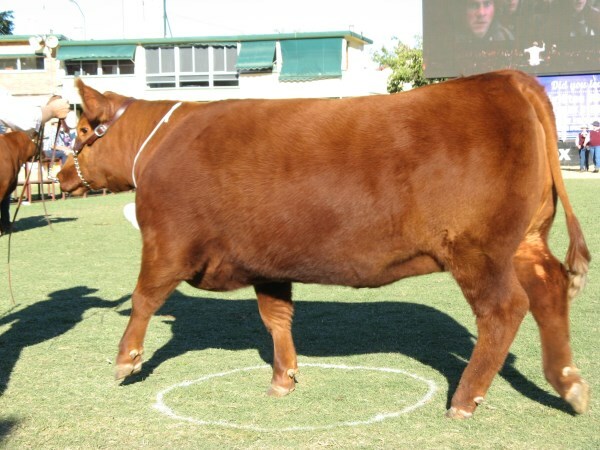 to balance his long, sleek coated frame, with good feet and bone. 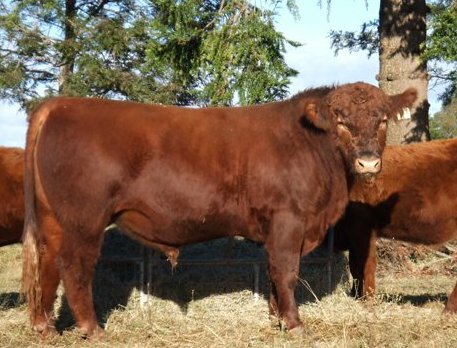 Mobster is an easy doing bull. 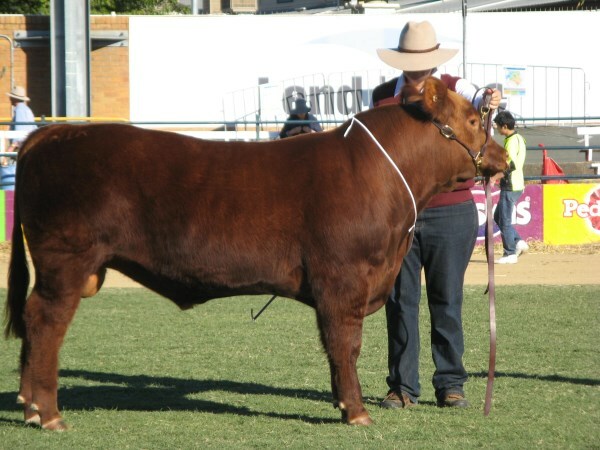 He is a typical example of Boonyouin’s previous Hitman bulls offered at sale - moderate framed, really balanced confirmation and packed with meat & muscle after a light prep. 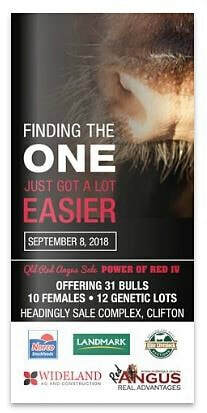 Ideal for heifers. 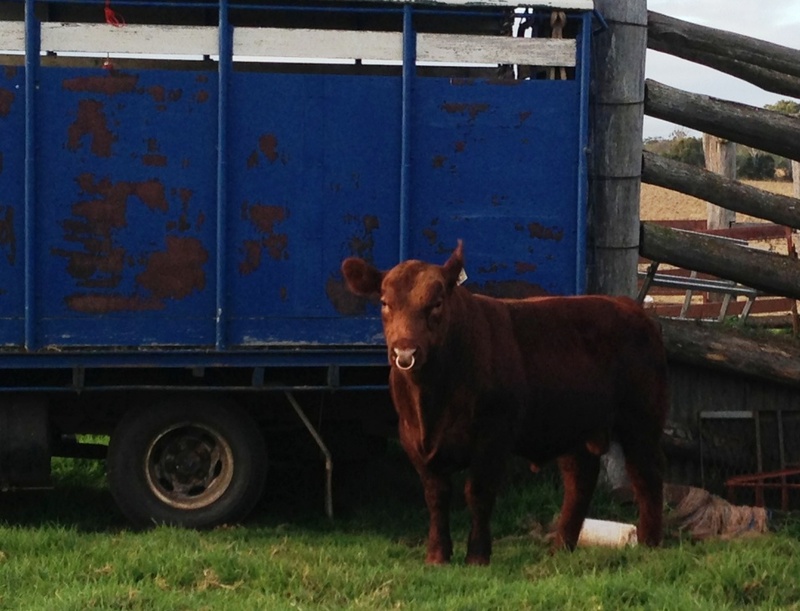 The catalogue is finished and at the printers as I write this. 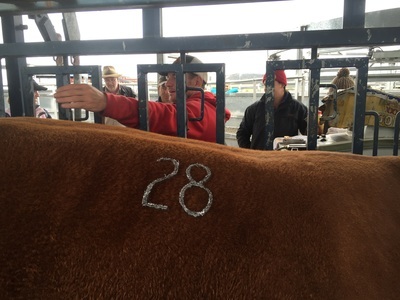 We have 31 quality bulls, 10 heifers and 12 genetic packages for the sale this year, lining up for what will presumably be a buyers sale given the current climate. 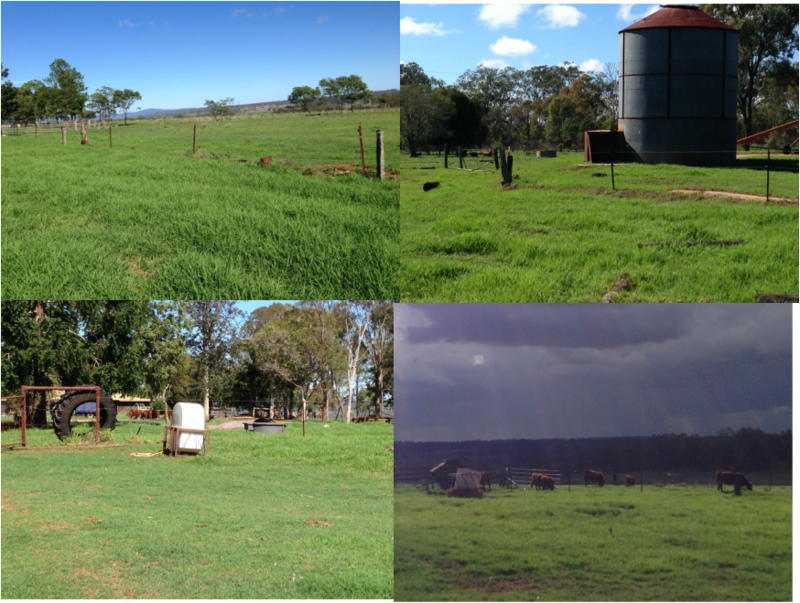 What a difference 12 months makes when it comes to the weather. Last year's sale was conducted in the mud, but it was a dry, dusty affair on Saturday 9 September for the 3rd annual Power of Red Sale. With cattle prices on a downward trend, and very little rain in July, August and September, the sale was down on last year's exceptional sale, but most bulls sold and females & genetics were well received as well. Boonyouin bulls sold well, averaging $5,300 for 4 bulls, topping the Bull Section, at $8,000 for Boonyouin Legend L21 (pictured) selling to Proston grazier Edwin Cooke. 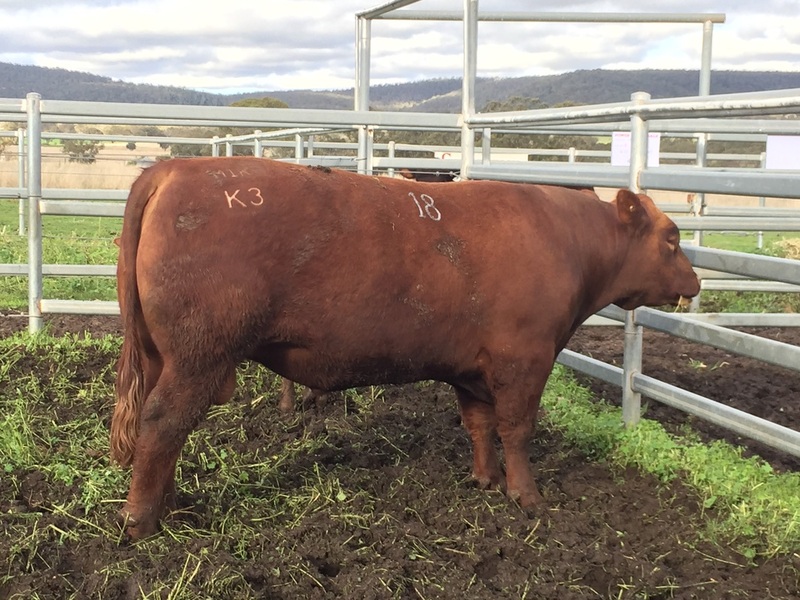 Boonyouin Magneto M4 sold to local graziers Ken & Carolyn Stone of Burrandowan for $4,500. 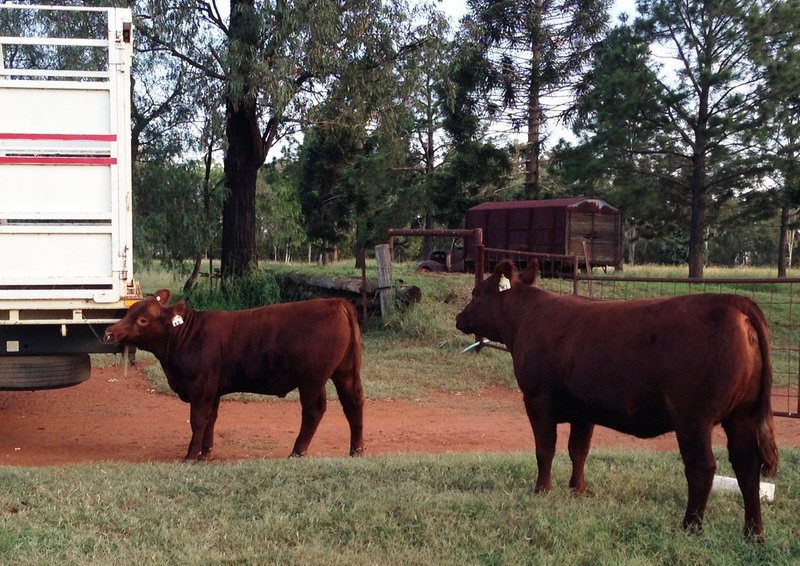 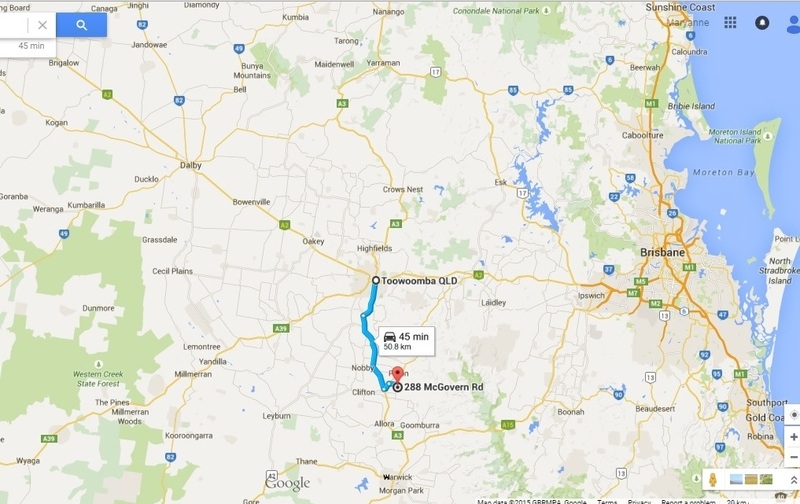 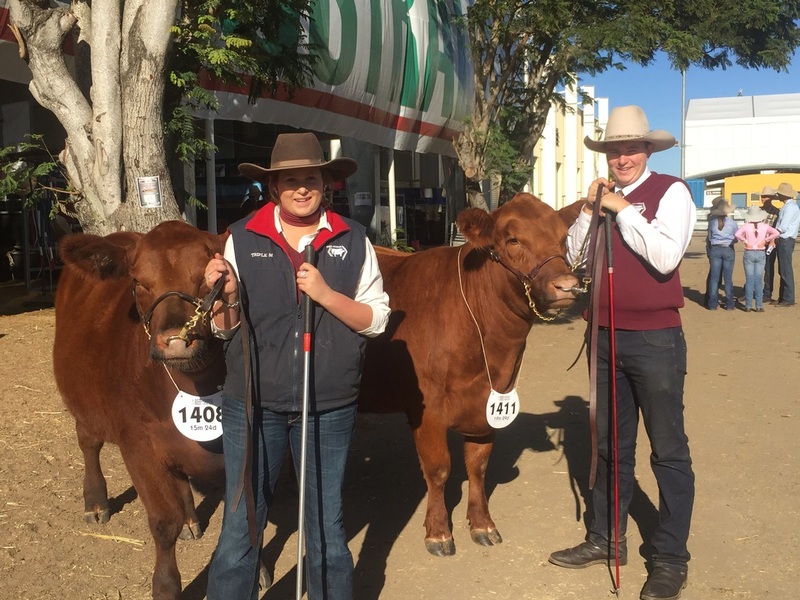 Yarraman cattleman Tim Stevenson picked up both the remaining Boonyouin bulls, to run with his Limousin x cows. 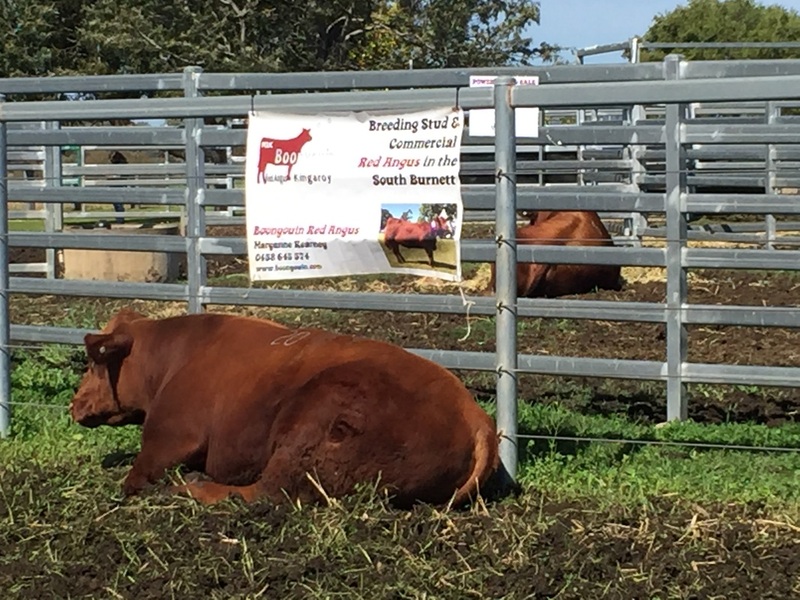 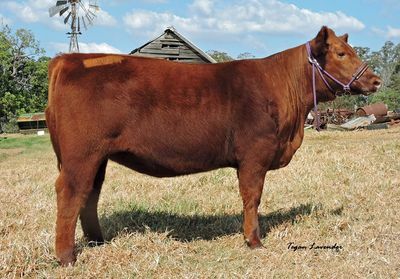 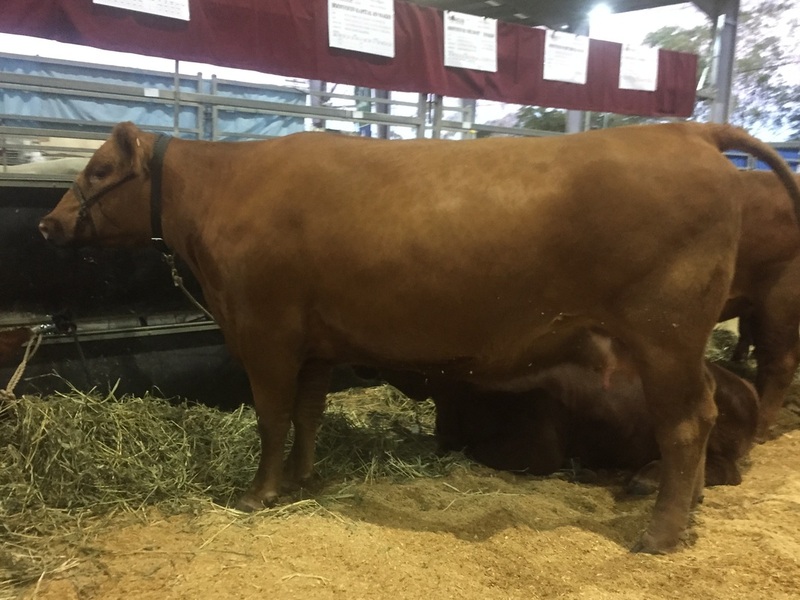 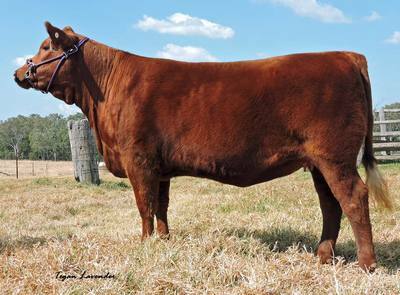 Boonyouin Red Angus wishes to thank all the buyers, under-bidders & Red Angus supporters who attended the 2nd annual Power of Red Sale last Saturday. 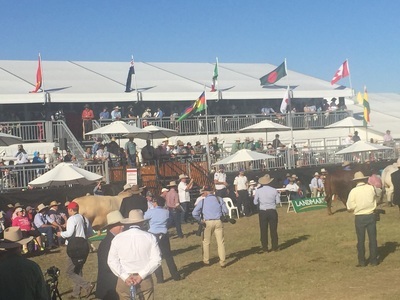 After 2 days of wet & windy weather, Sale day was a glorious sun-filled morning although mud boots were a pre-requisite for pre-sale cattle viewing. 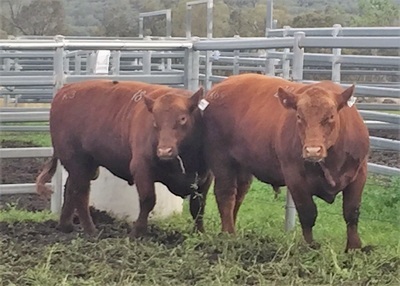 Thank-you to Blake Dawson & his crew in the back yards for helping the sale run smoothly, Scott & Wendy Ferguson for the use of their wonderful sale complex in trying conditions, and of course the enormous efforts of the sale committee, vendors and everyone who helped contribute to a successful sale. 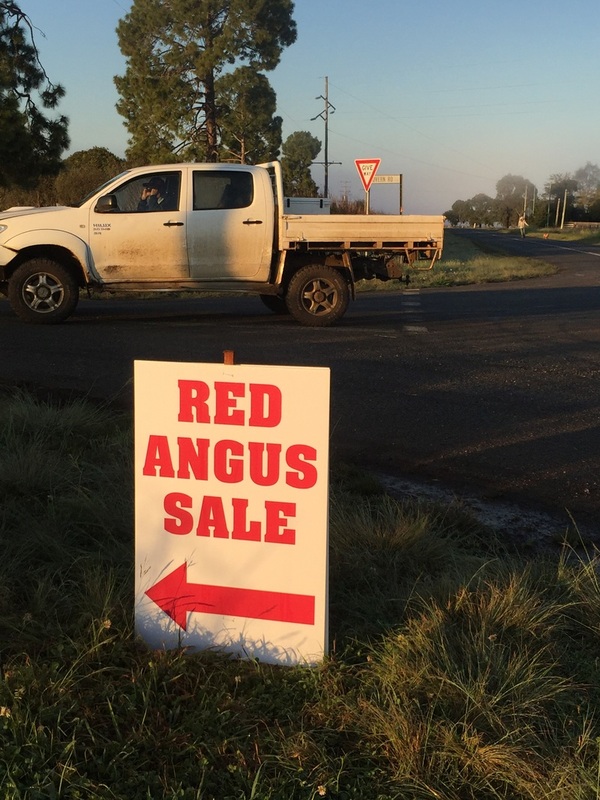 The Power of Red Sale Commitee would like to send a big thank you out to the Landmark team, and to the buyers, underbidders, vendors and sponsors that helped to make the 1st Power of Red Sale a reality and such a success. 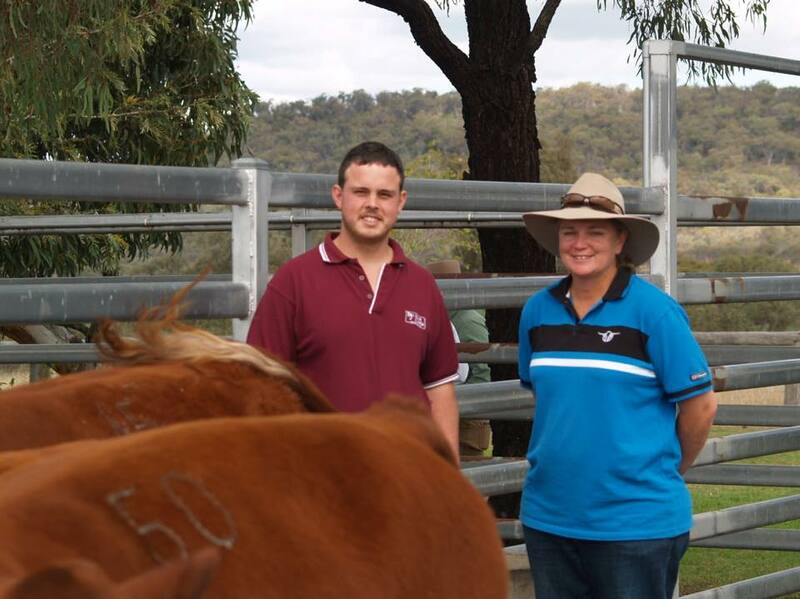 Pictured after the sale, were the majority of the Sale Committee, who put in endlesss hours to get this sale up and running, L-R Ma​ryanne Kearney, Kirrily Iseppi, Craig Gapes, Stu Greenwood and Colby Ede. 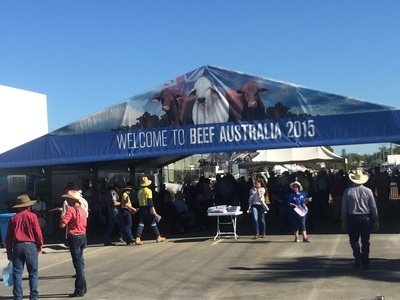 We hope to see everyone back again next year. 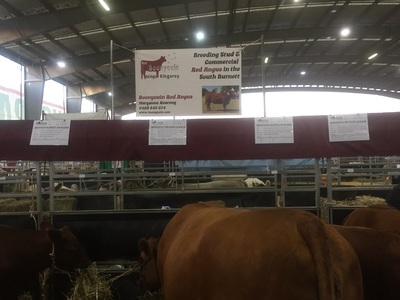 I personally would like to thank Ben Fraser BJs Red Angus from Lillico Vic for purchasing my 3 heifers and Wonga Hills Pastoral Co for purchasing my 3 bulls. 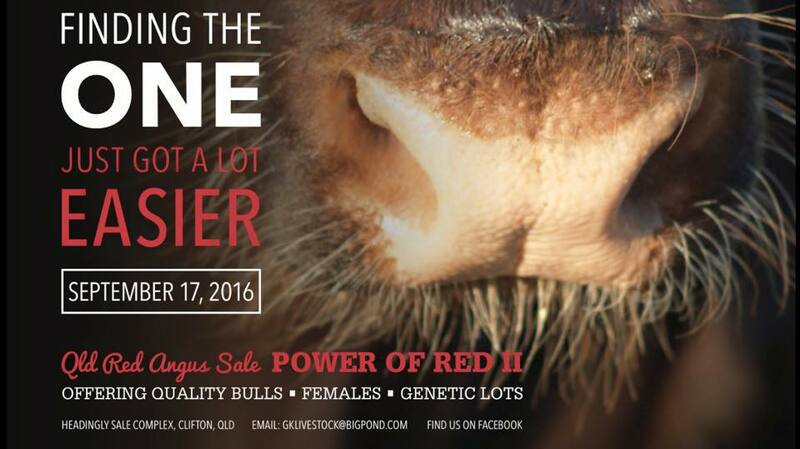 Sincere thanks to all the buyers, under-bidders & red angus enthusiasts who attended the Inaugural Power of Red Sale. Thank-you to the Landmark crew and Scott Ferguson and of course the enormous efforts of the sale committee, vendors and everyone who helped contribute to a successful sale. 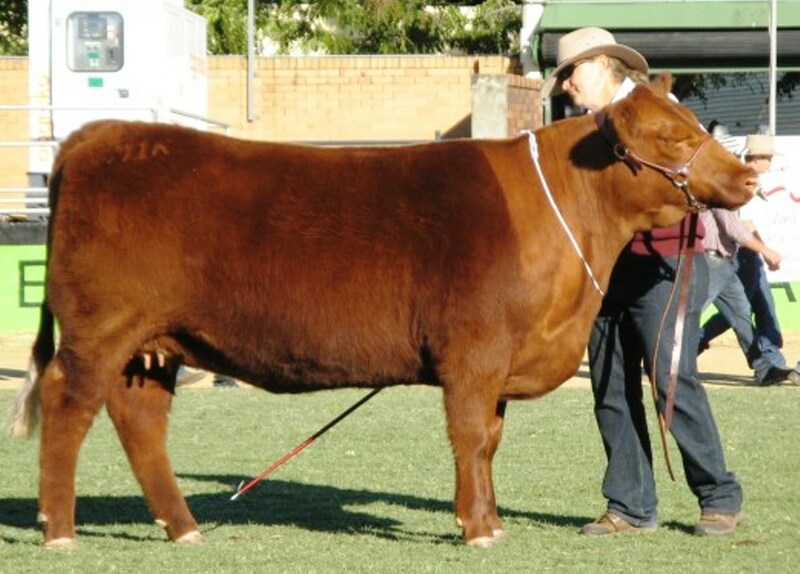 Boonyouin bulls sold to a top of $7,000 for Lot 2 Boonyouin Jungle J14 (pictured) & averaged $5,000. 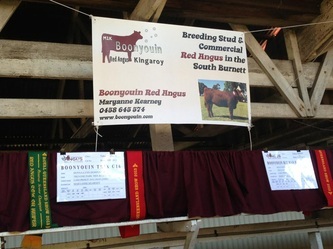 Boonyouin heifers sold to a top of $4,000 for lot 50 Boonyouin Karma K33 & averaged $3,400. May 2015 - What an experience!! 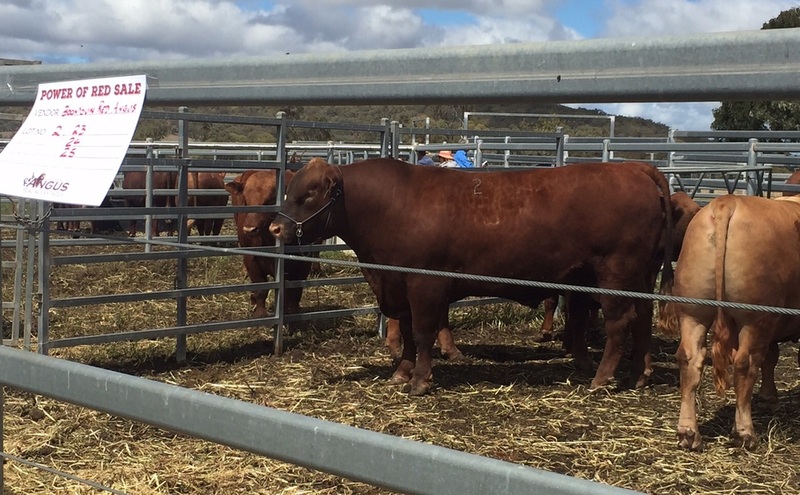 Everything is big in Rocky and Beef 15 was BIG. 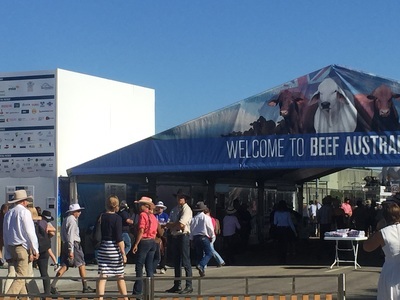 Record numbers of cattle entries and people... record heat for that time of year. Popcorn & Karnage then went on to win an Interbreed Sires Progeny for Hitman H7 in a strong class of 12 progeny groups. We've had an average summer season with 160mm falling in both December 14 & January 15. 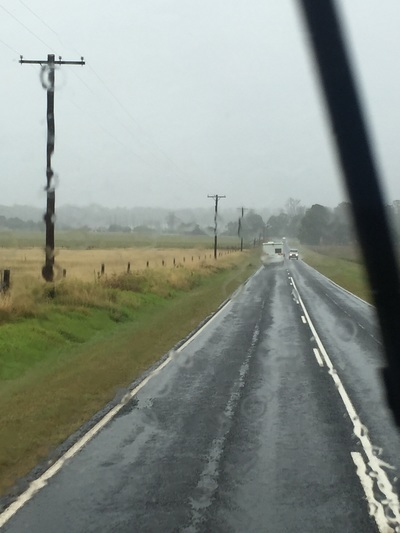 A nice change from the last 18months of drought. 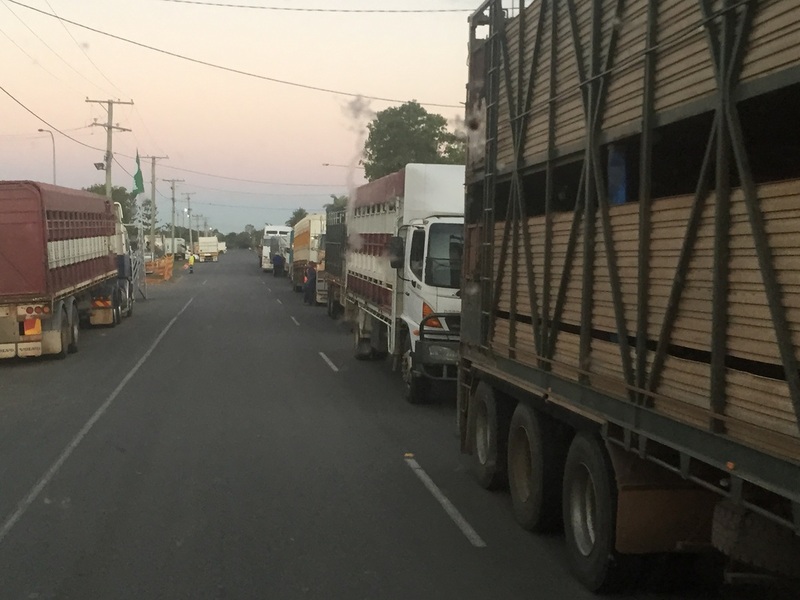 With so much of Queensland still suffering with the drought, I'm grateful for the rainfall but really feel for so many QLDers still doing it tough. 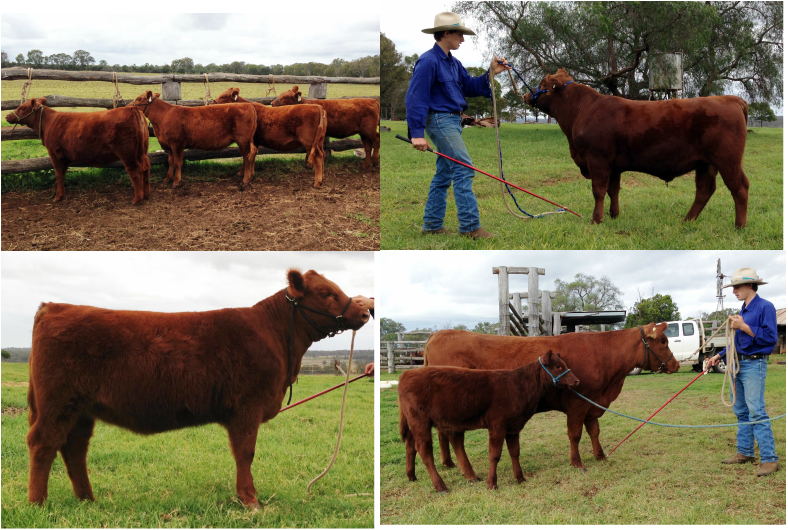 The team is progressing well. 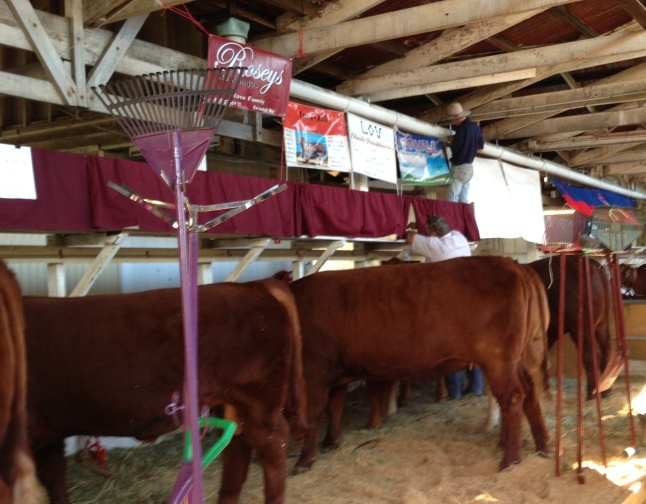 More than I can say for the Winter season. 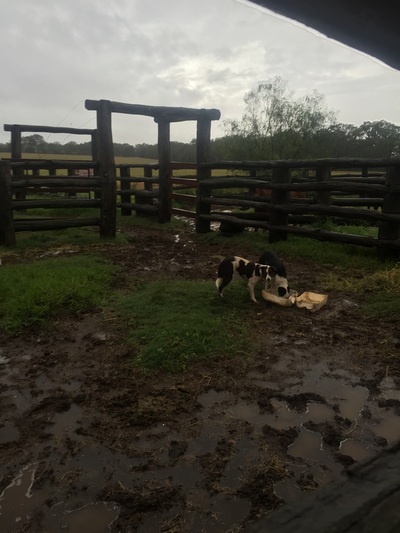 Around 15ml for the last 3 months over about 5 small falls. 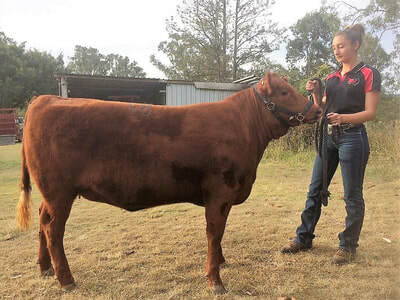 Blake and another friend Sarah Shaw came over again for a clipping/practice afternoon on the weekend before Gatton Show. My little J calves are maturing nicely into yearlings. 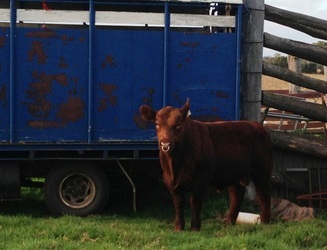 Even with such a tough summer, I managed to get a young show team together in Autumn. With the help of Blake & Erin from Dawson's Red Angus, we prepared a handful of young ET bulls & heifers by Red Pie Game On 9109, Te Mania Red Label & the pick of the home bred calves by Boonyouin Foreman F21. 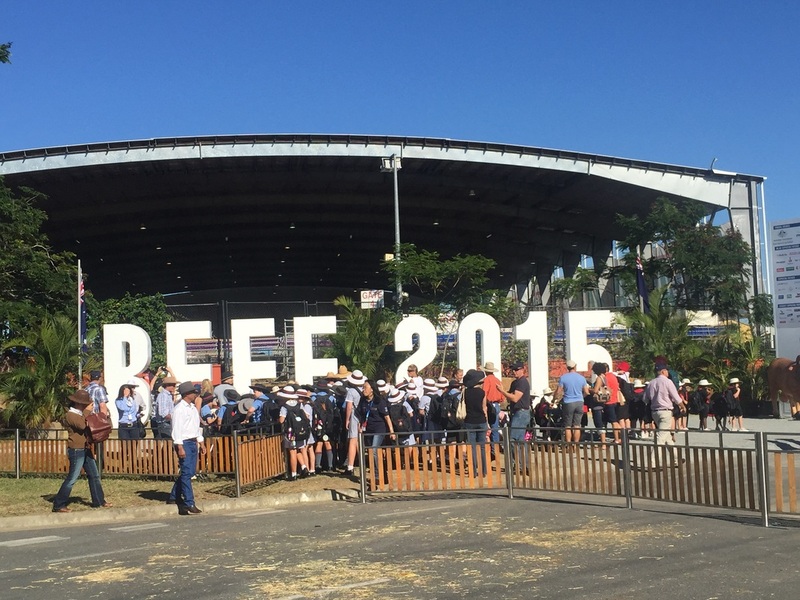 The summer of 2013-14 was a cruel one for all of Qld & NSW. The ongoing dry, coupled with below avg cattle prices and rising production costs has meant the last 12 months have been a real struggle. 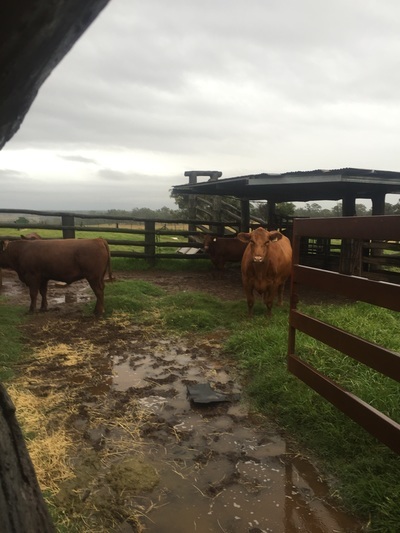 We then had some crucial rain at the end of March and a late start to Winter, which allowed a brief flush of pasture growth and eased pressure on the cattle market. I weaned in Jan-Feb this year, so most of the breeder herd has had time to recover from a terrible summer. 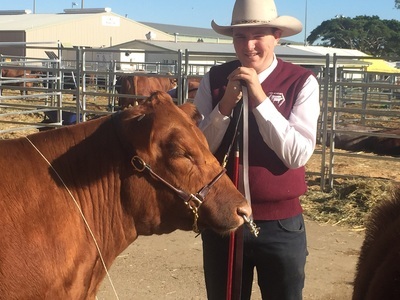 Well my first Ekka is done and dusted. 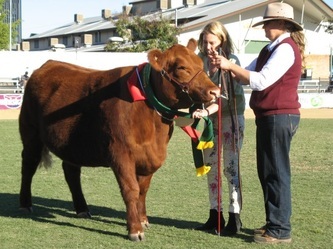 It was hard work and a lot of fun all together. The cattle behaved themselves and it was a buzz to be out in the main arena leading around cattle that I had bred, raised and prepared myself. Blake Dawson was again a big help - I would recommend him to anyone wanting help with breaking in and preparing show cattle. 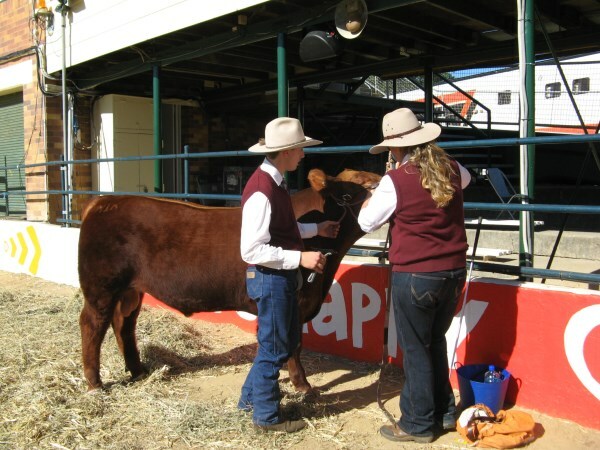 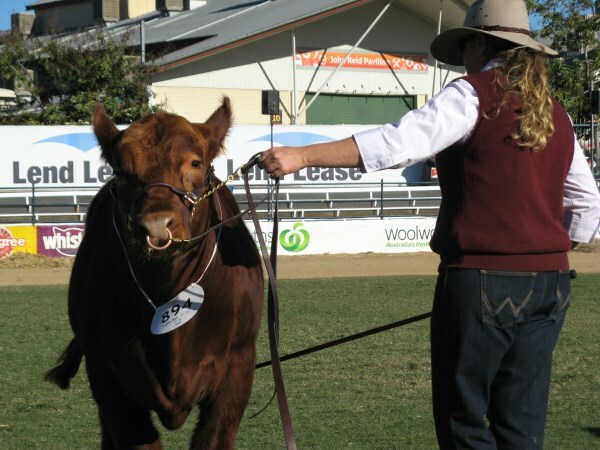 Looking forward to next year's Ekka already! 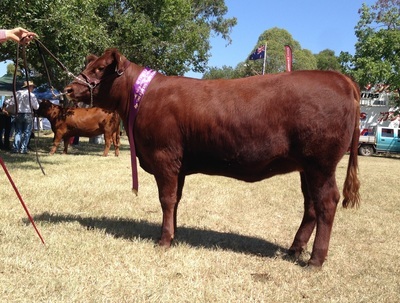 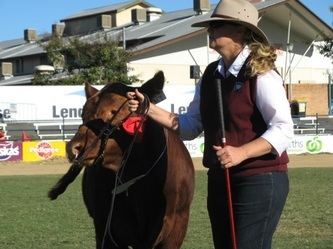 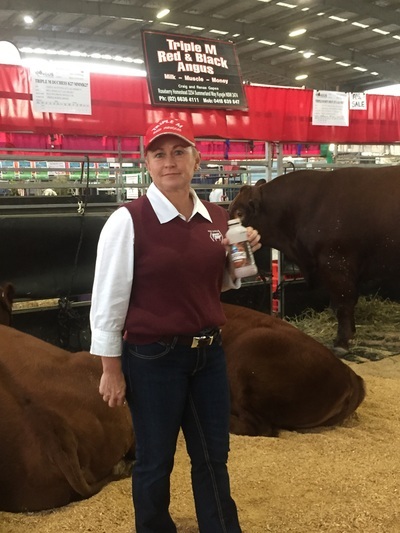 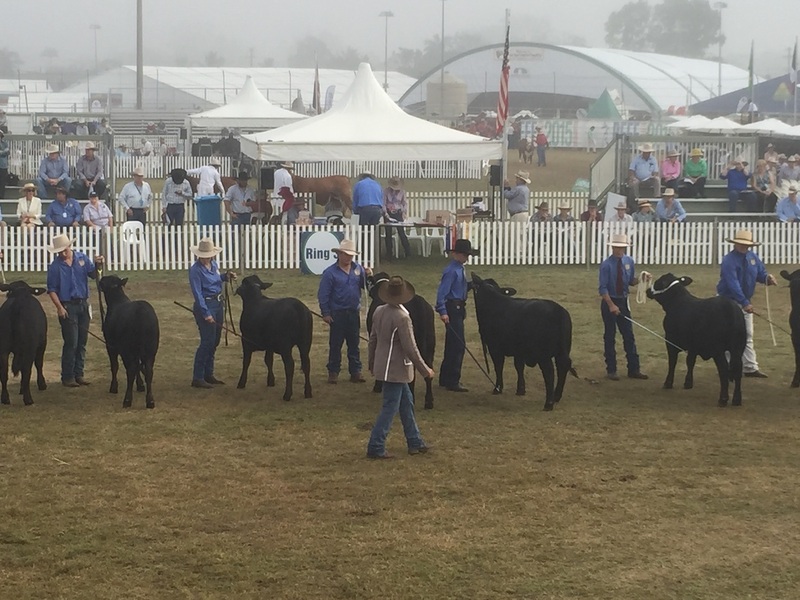 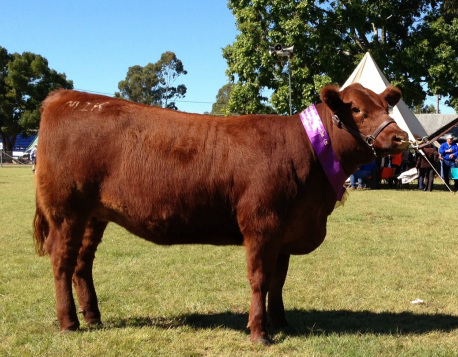 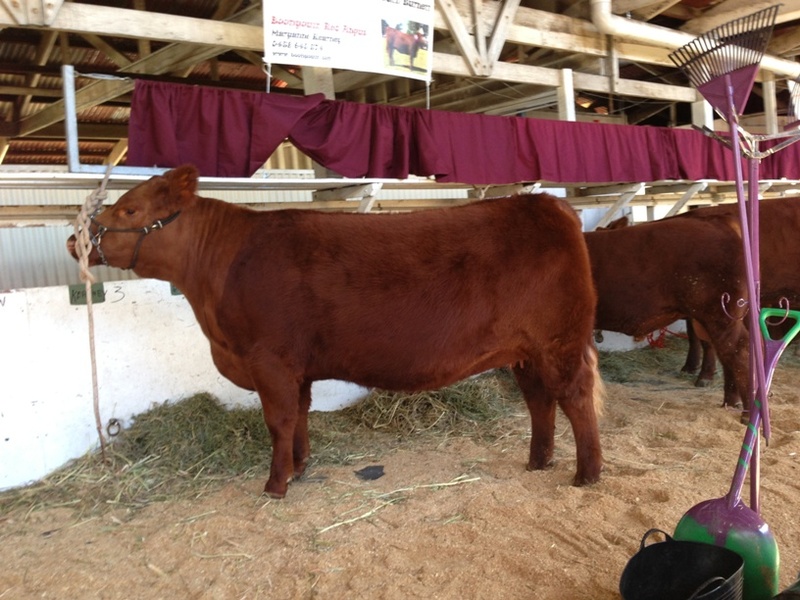 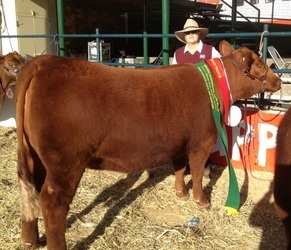 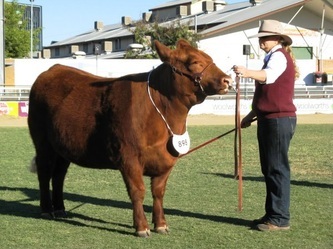 On a rainy Saturday in July, Trix G16 achieved the great result of Supreme Female exhibit of Gatton Show. 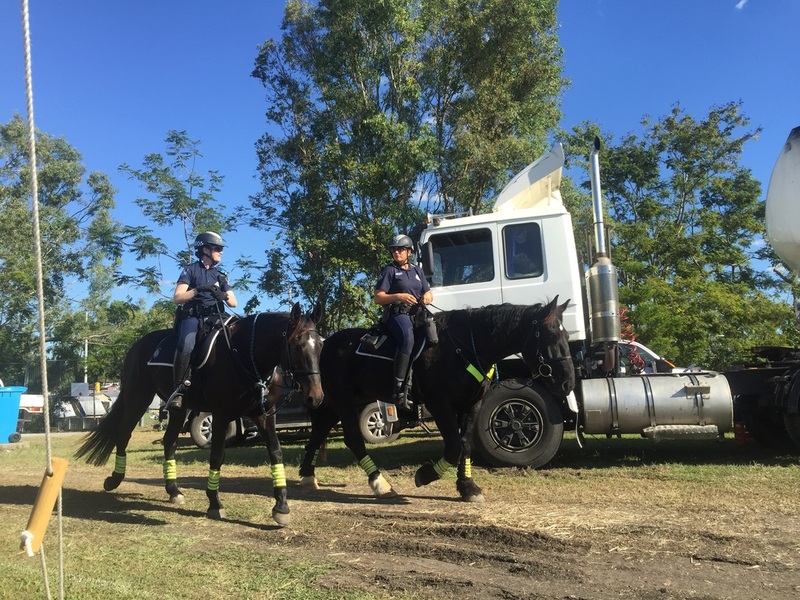 It was a fair way to travel to a show, but with the Ekka less than 3 weeks away, I thought we needed one more hit out. 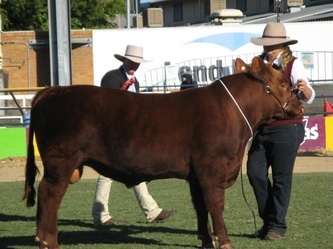 Hitman H7 had settled in well to the show life and behaved like a gentleman. 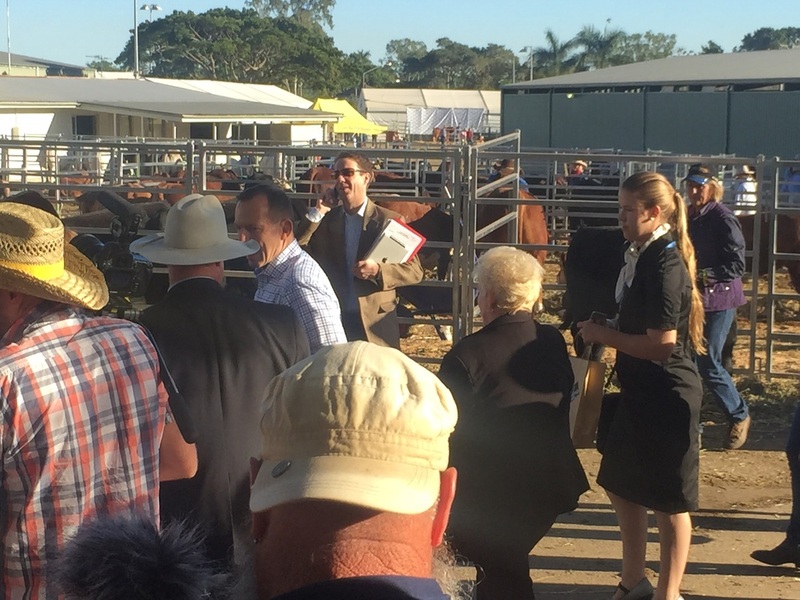 Dina G65 showed herself nicely too. 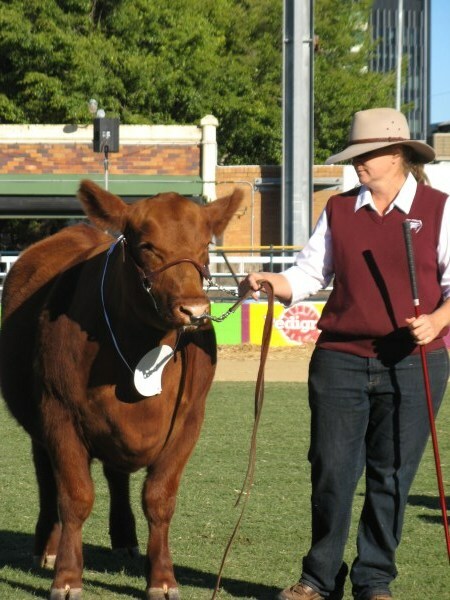 But is was Trix's day, and in the pouring rain we were sashed as Champions. I was ably assisted by John & Marion Burger & also Melinda Hoey (Clearview Red Angus). I'm glad they were there to help me and to reassure me that it was not a dream. 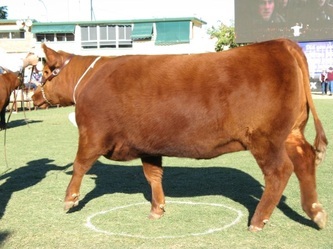 Time to break in my first bull. 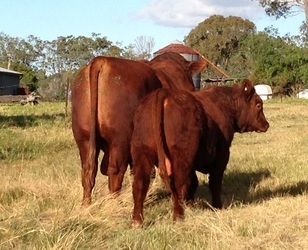 I chose Hitman H7, an unhandled 10mth old embryo calf by Northline Fat Tony out of Trix B2. With the help of Blake Dawson from Dawson Red Angus we started him on his journey to show bull. 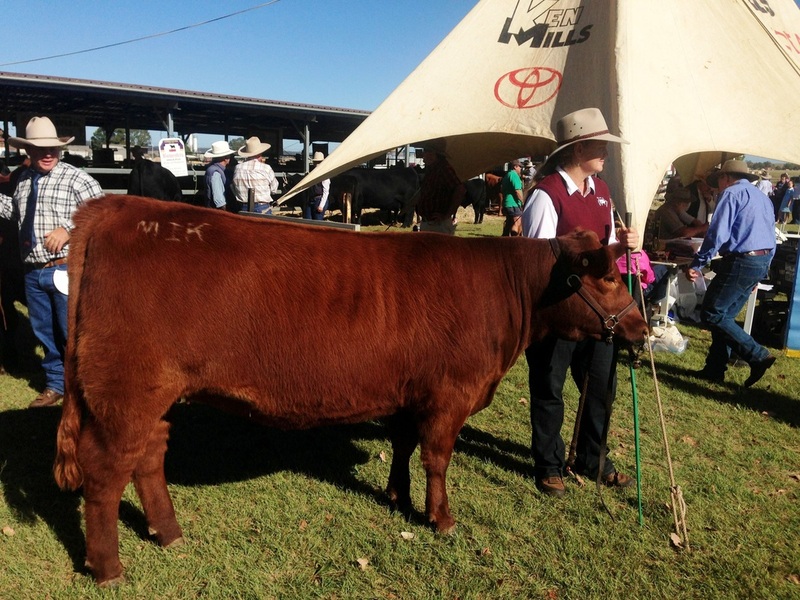 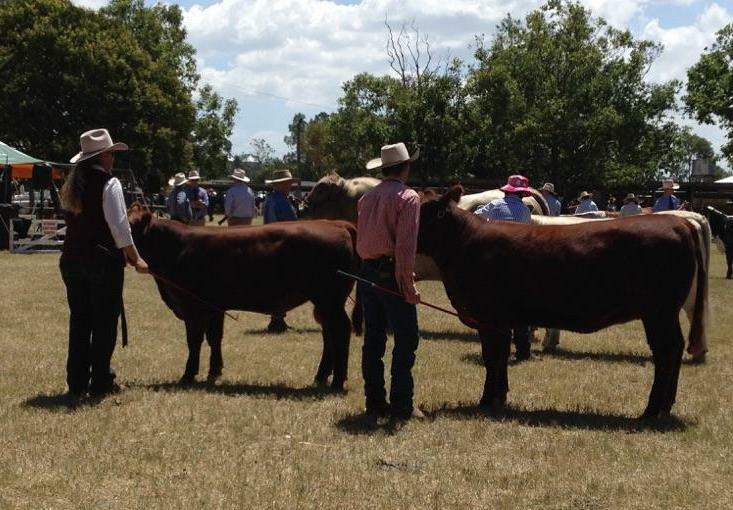 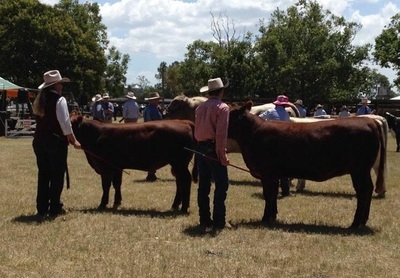 Kingaroy show was the venue for my first ever show outing with 3 home-bred heifers. 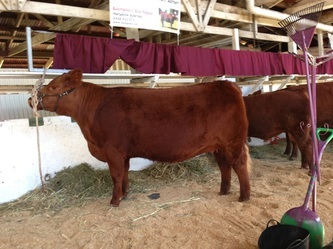 We had a great debut, with the baby of the 3 girls (Red Dina G65) winning the 16-20 mth heifer class and Trix G16 placing 3rd in the same class of 6. Dina G65 went on to win Junior Champion British Heifer!! Maryanne & Red Dina G65. 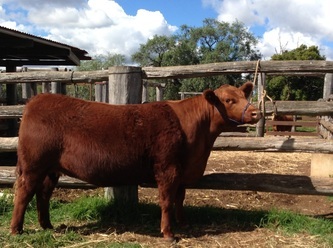 Chan Abbey Red Angus Tamworth dispersed their herd in early April. 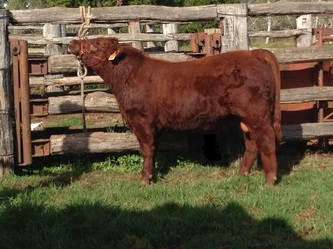 I was lucky enough to pick up some quality cattle. 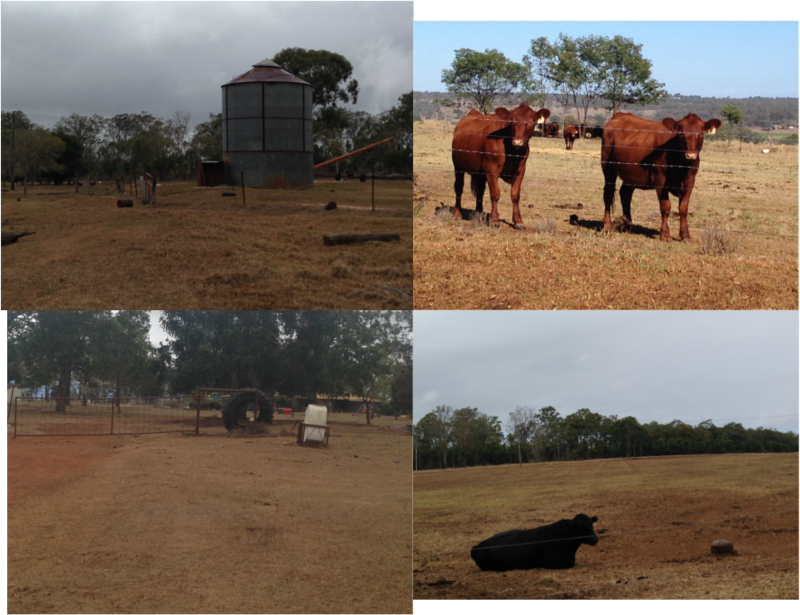 2 cows & calves and 4 heifers are now settling in at Boonyouin.